Easter Regatta at De Kaag near Leiden – And you are invited! This is the traditional opening of the season of the Cadet sailing competition in the Netherlands. This is not your average Cadet race! This is one that asks for all your sailing knowledge and skills! We hope to welcome you at this coming three day Easter event starting the 20 April. The heart of “Holland” lake district hosts one of the most beautiful sailing locations in the Netherlands. Just 30 minutes south of Amsterdam, north of the Hague, almost attached to the beautiful city of Leiden, you will find the “Kagerplassen”. Here water and wind separates the real sailors from the rest. Each change of wind, the course changes shape. Small “polders” with authentic Dutch windmills are decor to the sailing courses. 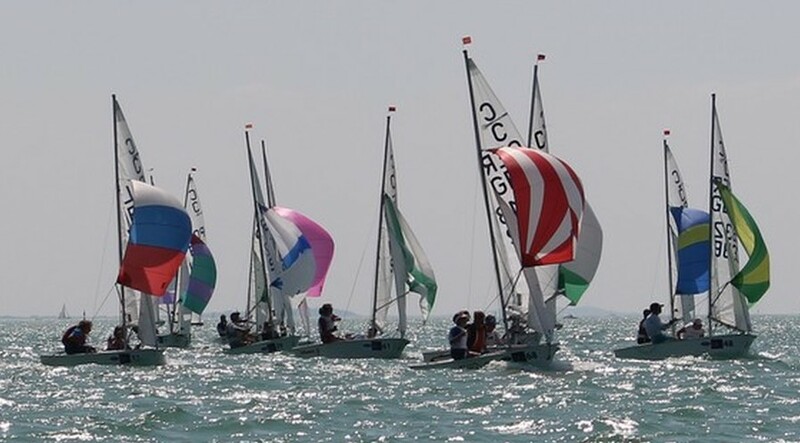 The best fun and experience in Cadet sailing.